All too often, people experiencing homelessness or a mental health crisis end up in the back of a squad car on the way to jail or a hospital emergency room. These outcomes can be both traumatic and costly, but there are better alternatives. Since we know a high percentage of those who are homeless are also living with mental illness, Community Advocates dedicates behavioral health staff to working with these individuals exclusively. Our Homeless Outreach Nursing Center, Autumn West Safe Haven, and Project Bridge programs provide services and resources that address the unique needs of those living with a mental illness in unstable living conditions. We utilize the Housing First philosophy that views housing as an individual's first step toward regaining independence and stability. Community Advocates is a proud member of Housing First Milwaukee and the Milwaukee Continuum of Care. Our Homeless Outreach Nursing Center provides person-centered outreach and engagement to individuals with mental illness who are chronically homeless and living on the streets, in vacant buildings, under bridges, or in parks. Clients are assessed by nurse and social worker advocates and are provided services to assist them in stabilizing their mental and physical health and homelessness. Those who qualify may be referred to the Autumn West Safe Haven. 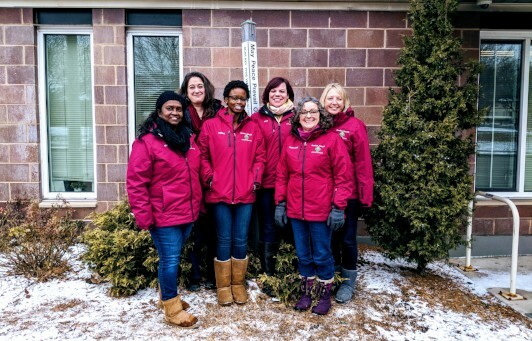 Our outreach team is unique in Milwaukee in that all are clinicians and licensed to diagnose and treat mental illness. In 2017, Community Advocates Homeless Outreach Nursing Center staff made 1,615 contacts with 240 men and women experiencing homelessness. They also provided case management services to 47 formerly homeless clients who are in permanent supportive housing as part of the Housing First initiative. Read more about the Homeless Outreach Nursing Center's work in this Milwaukee Neighborhood News Service article. Autumn West Safe Haven is a low-barrier housing refuge for individuals who are currently homeless and experiencing severe and persistent mental health challenges. This program operates as an alternative to emergency shelter and is designed to provide safe, short-term housing along with supportive services, including peer support, for residents as they transition out of homelessness. Autumn West embraces Housing First and Harm Reduction principles. Its 20 apartment units in the heart of the city are a safe haven for those needing support as they find permanent homes. Of the 52 individuals served by Autumn West in 2017, 85% were off the streets and safely housed at the end of the year. The average length of stay for those exiting the program was 5.83 months, a reduction from 7.36 months in 2016. In this video, Autumn West Safe Haven staff explains what Autumn West is all about. The Project Bridge/Autumn West Housing Program helps those experiencing both chronic homelessness and mental illness. 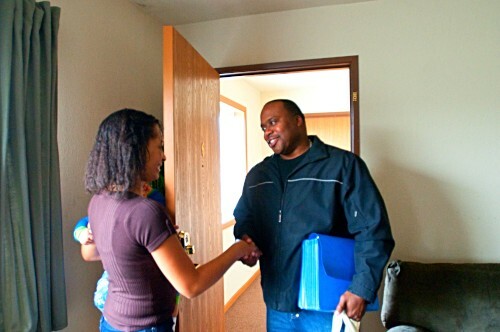 Founded in 2007, this Housing First program provides immediate access to safe and affordable housing to 100 Milwaukee residents who have been identified as experiencing chronic homelessness and living with a disability. This program provides case management services that employ up-to-date best practices such as Trauma-Informed Care, Motivational Interviewing, and Harm Reduction to help program participants achieve housing stability. The average length of stay for residents currently in programming is four years and ten months. When Bob was living on the streets, he said people were afraid of him. "But the case managers for Community Advocates aren't afraid. They're not afraid to open their hearts to the clients." Q: Who should I contact to refer someone to Autumn West Safe Haven? A: Referrals are made through a consortium of homeless outreach teams. For further information contact the Autumn West Safe Haven Program Manager at 414-671-6337. Q: What are the referral criteria for the Autumn West Safe Haven? 3) he/she must meet the HUD definition of literally homeless. Q: Who should I contact to refer someone to Project Bridge Program? A: All referrals to programming are managed by 211 through a central intake system known as Coordinated Entry. Please contact 211 for further assessment and housing options. Q: What are the referral criteria for Project Bridge? 3) he/she must meet the HUD definition of being chronically homeless. Q: Who should I contact to refer someone to the Homeless Outreach Nursing Center? A: You may contact the Homeless Outreach Nursing Center at 414-671-6337.